With Google Docs we want to help you work better, everywhere you are. So today’s Android and iOS updates for Docs, Sheets and Slides make it easier to get things done while you’re on the go. You’ve asked for more editing tools on mobile, so today’s improvements include real-time spell-checking in documents, hiding rows and columns in spreadsheets, and grouping shapes in presentations. Online security is really important, so we offer functionality like two-step verification to protect your Google account. 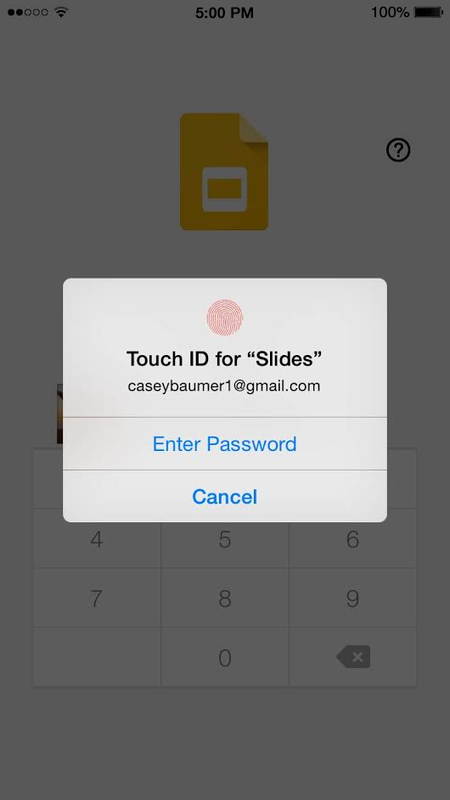 Starting today, Google Docs supports Touch ID on iOS, so you can unlock Docs, Sheets and Slides with your unique fingerprint. If you’re blind or have low vision, you can use screen-reading services like TalkBack on Android and VoiceOver on iOS to create, edit, and share files in Docs, Sheets and Slides. The updated apps also respond well to screen magnification, in case you need to zoom in for a closer look. These updates are rolling out now, so look for them on Google Play and the App Store (Docs, Sheets, Slides), and download the new versions as they become available. For even more news and tips, you can now follow Google Docs on Google+, Twitter and Facebook.